Cleveland Park	Cleveland Park is adjacent to the Lucy Craft Laney at Cleveland Park Community School. 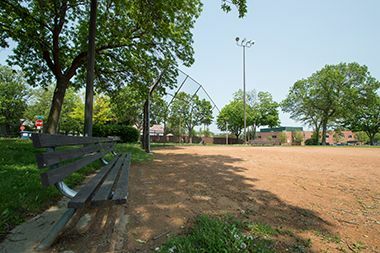 Cleveland Park is one of several parks across the city to be developed in conjunction with the school board. 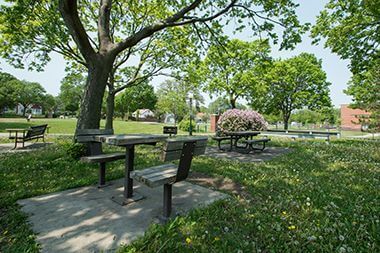 Name: The park was named for the Cleveland School, which was adjacent to the park at that time. The school was named for President Grover Cleveland. Until 1959 the park was referred to as the Cleveland School Site. Park board documents began calling the site Cleveland Park in 1959, without formal action to name the park. The first land for the park adjacent to Cleveland School, less than an acre, was acquired by the park board on November 16, 1949. The purchase followed long negotiations with property owners. The first parcel of land cost the park board $10,513. After the first land for the park was purchased in 1949, the park board continued negotiations to acquire more, but failed to add to the park. The park board then proceeded with plans to develop the small plot it owned in conjunction with the school board in 1951. There the matter rested until eight years later. Through most of 1959, the board tried again to purchase land to expand the small school playground. It finally reached agreement with the owners of adjacent land to purchase three more lots, just over ½-acre, for $13,500 in early 1960. 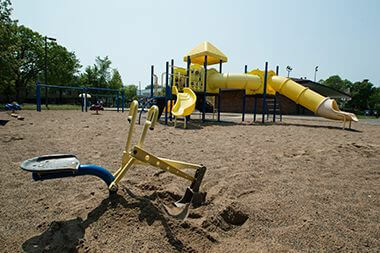 A “totlot” for smaller children was added to the park in 1973 and the shelter and wading pool were renovated in 1977. 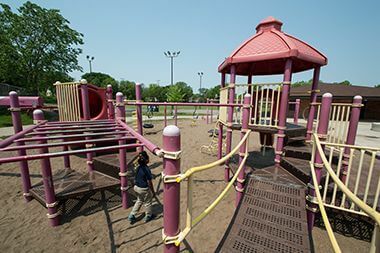 When the new Lucy Laney Craft School was built to replace Cleveland School in 1993, the park board renovated the park layout. 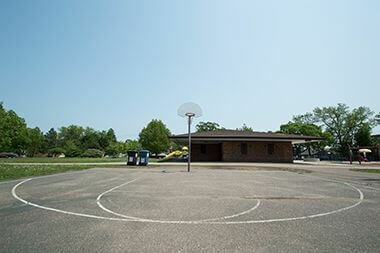 One interesting addition to the park at that time was an eight-foot-high basketball hoop on a hard-surface court area, one of the only baskets in the city where most people could dunk a basketball. The wading pool at the park was renovated in 2005.